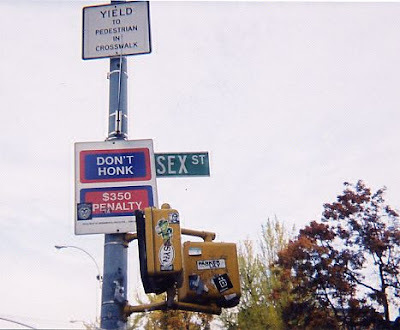 This sign feels like a cheap knockoff of the musical 42nd Street, doesn't it? Thanks to Kelly P. for the photo. Update: Not ungrammatical, just dirty. Thanks, Barry. And not only is this shot a grammar fail, but it's beautiful as well. 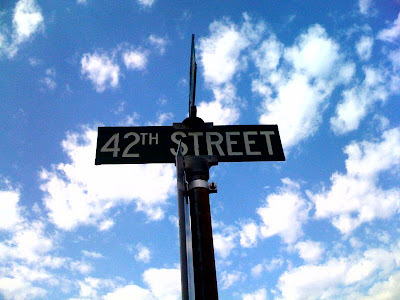 I wish I lived on 42th street.